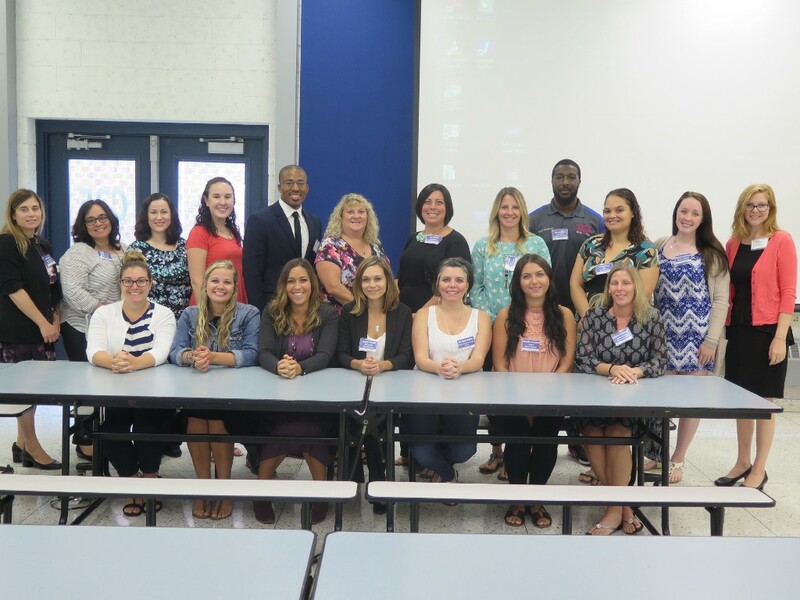 Washington Township Superintendent of Schools Joe Bollendorf and his administrative team welcomed 19 new teachers during the district’s annual New Teacher Orientation on Wednesday, Aug. 23. Following a video introducing the new staff to the district, Bollendorf congratulated the group and offered words of encouragement. The group also received an overview from Source4Teachers district manager Brian Engle who explained how to arrange for substitute coverage in their classrooms. They also met with representatives from the Washington Township Education Association before moving on to mentor training and building orientations.